We must not let the enormity of our grief daunt us from doing all we can to confront hate with love, for there is far too much hate in our world. In the midst of the darkness, remember that darkness and hope are not opposites. Darkness is often the very context in which hope can be found. Let us be resolved to live into our moral responsibility to one another—to protect, to defend and to act courageously on the behalf of all those who are being threatened. The Collins Foundation has recognized the crucial role Ecumenical Ministries of Oregon plays in our community by awarding us a $70,000 matching grant. To meet the Collins Challenge, we still need to raise $19,000 in new and increased gifts by December 1. For more than 40 years, EMO has created an essential safety net for the most vulnerable among us: Families in crisis. Low-income people with HIV. Refugees and immigrants. Victims of domestic violence. Homeless high school students. In a time of great division, it is vital that people of faith lead with values that unite us—the inherent dignity of every person and our sacred responsibility to care for one another. Please consider what you might give to make a positive difference to someone in need. We invite you to donate now . Faith-based organizations in the City of Portland with interest in developing affordable housing on their property are welcome to attend this free event, including a panel discussion, Q & A session with various experts in affordable housing, and resource fair. Learn more and RSVP . November 14, 7:20 am - 8:30 am @ The Rockwood Center, 17805 SE Stark St., Portland. Join us for breakfast and to raise funds for EMO's Second Home program in the Gresham-Barlow School District. No cost to attend; donations will be gratefully accepted. All contributions go towards sustaining the Gresham-Barlow Second Home program. Learn more and RSVP . Please join EMO’s HIV Services for our annual fundraiser luncheon. 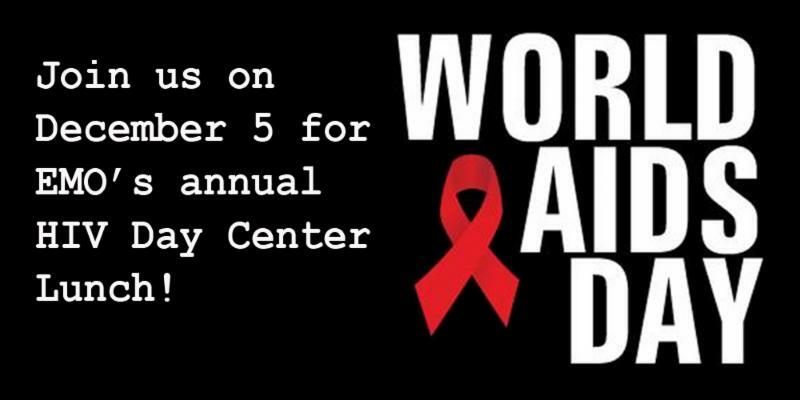 This is an opportunity for us to honor and celebrate those in our community who live with HIV/AIDS, and those who support the work we do at our HIV Day Center and Daily Bread Express. No charge, donations will be gratefully accepted. RSVP and learn more. November 3, 10 am - 12 pm @ Northwest Catholic Counseling Center in Portland . Cost: $25. Learn more and register . November 3, 11 a.m. @ Congregation Neveh Shalom , 2900 SW Peaceful Lane, Portland. All are welcome to join this healing service in the aftermath of the shooting at Tree of Life Synagogue in Pittsburgh. November 5, 11 am - 1:45 pm @ Trinity Episcopal Cathedral in Portland. Learn more . November 5, 2 pm - 3:30 pm @ Trinity Episcopal Cathedral in Portland. J oin Patricia Newton (labyrinth facilitator, member of the Trinity Labyrinth Guild and Labyrinth Network Northwest) for a free presentation about her recent pilgrimage to Chartres and a discussion of labyrinths and pilgrimage. Learn more . November 11, 11 am - 2 pm @ First Presbyterian Church in Portland. Vendors will have Fair Trade wearables, olive oil products, coffees, chocolates, fine crafts, and indigenous art from Bangladesh, Central and South America, Palestine, Mexico, South Africa, and Zimbabwe. Learn more . December 14, 6:30 pm - 8:30 pm @ Riversdale Church in Portland. Join us to remember, to uphold, to care, and to comfort together. Learn more . VOLUNTEER: Help EMO get out the vote for No on M105! We’re only a few days away from the election and we’re expecting record turnout. Let's come together as a faith community to stop Measure 105. J oin o thers by giving two hours of your time between Saturday and Tuesday. Sign up here to volunteer! Since 1978, EMO has produced ballot measure guides with recommendations from a faith-based perspective. Go here for EMO's full analysis of all ballot measures. Measure 102: Vote YES to address Oregon’s housing crisis in a fiscally sound manner. Measure 103: Vote NO to exclude certain businesses from improvements to our tax system. Measure 104: Vote NO to make ineffective and unwise tax breaks permanent. 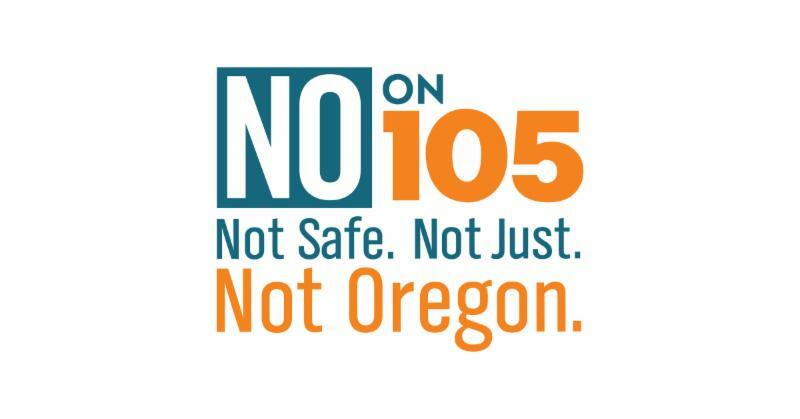 Measure 105: Vote NO to overturn a law that protects Oregonians from racial profiling. Measure 106. EMO extends an invitation to delve deeply into the sincerely-held, faith-based values that lead people of faith to support or oppose the public funding of abortion. Metro 26-199: Vote YES to provide housing to thousands of low-income individuals. Portland 26-201: Vote YES to decrease Portland’s carbon footprint and create jobs. TO PRINT off a one-page version of our Ballot Measure Guide (to pass out at your worship service or include in your bulletin!!!) , go here . One of the most compelling arguments for organ donation is the love and compassion such an act demonstrates toward others. The mandate to "love your neighbor" was stated by Jesus (Matthew 5:43), Paul (Romans 13:9), and James (James 2:8), but it can actually be traced all the way back to Leviticus 19:18. From the earliest days in the Old Testament, God's people were commanded to demonstrate a love for God as well as for their neighbors. Being willing to donate an organ from our own bodies would seem to be an extreme example of selfless sacrifice for another. We have the utmost example of this in the sacrifice that Jesus Christ made as He gave up His body for all of humanity. National Donor Sabbath (Nov 9-11) offers an opportunity to talk to your faith community about organ donation. Donate Life Northwest makes it easy to start these conversations by providing free materials. 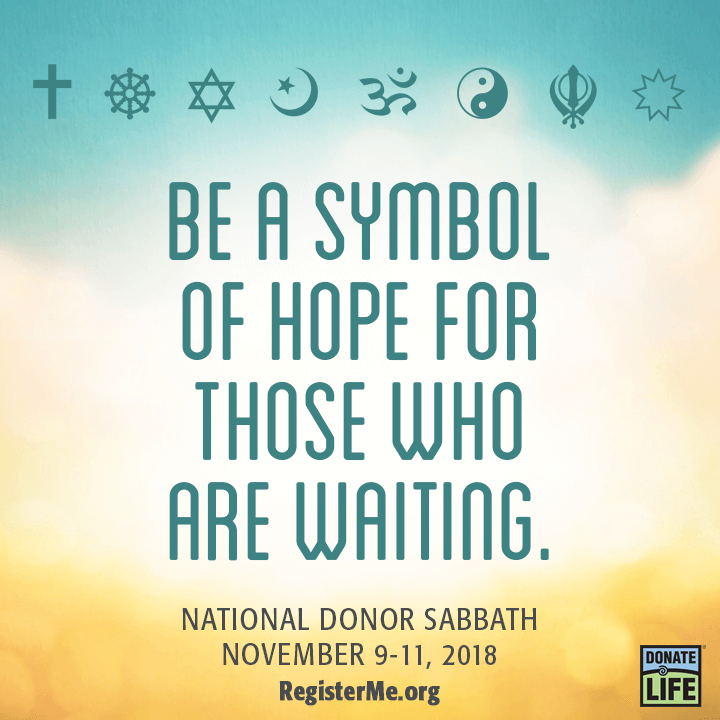 Visit donatelifenw.org/sabbath to request materials and learn more. Or contact Caitlin Feely at feely@ohsu.edu or (503) 494-7888. Join EMO's talented team making a difference in Oregon! Below are our current open positions. Learn more, including our generous benefits package, on our Employment page. Grants Manager : Oversee EMO’s grants program, including grants planning and strategizing for each EMO program and CORE office, interfacing with financial team, grant writing, grant administration, reporting, acknowledgements and outreach to new foundations and government entities/opportunities. Full time position with full benefits. Open until filled. View position description and application instructions . Domestic Violence Advocate - Bilingual Russian/English ( Russian Oregon Social Services ): Provide effective, culturally specific services to Russian-speaking survivors of domestic violence. Full time position with full benefits. Position closes on November 19. View position description and application instructions .